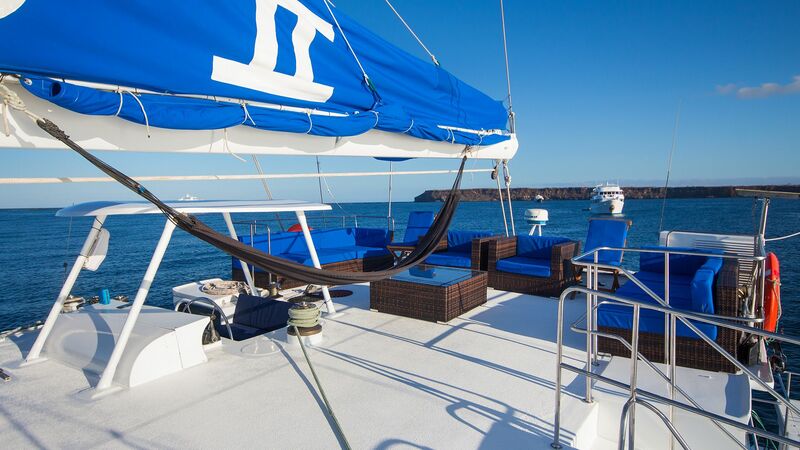 Below you will find the details of your NEMO II Galapagos cruise specifications. When going on your NEMO II Galapagos cruise you want to know all the details so you can make an accurate decision on your vacation and the NEMO II Galapagos islands cruise specification provides that insurance. The NEMO II Galapagos islands cruise specifications provides more insight into characteristics, technical equipment, accommodations, security and the deck plan. In the characteristics tab of the NEMO II Galapagos islands cruise specification provides the stats of the vessel, the capacity up to 14 passengers, and how many members the crew entails which is different on each of the NEMO Galapagos cruises. The NEMO II Galapagos cruise specifications then goes onto the technical equipment and the additional items that make for a luxury vacation, which is the same on every NEMO Galapagos Cruise. 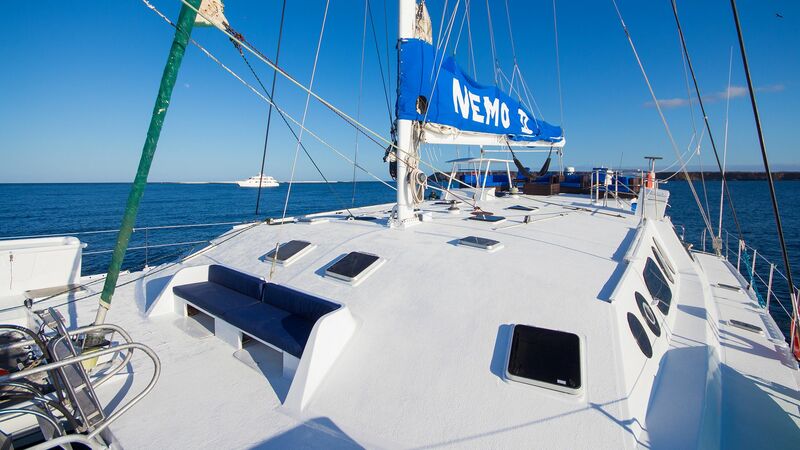 The following section of the NEMO II Galapagos cruise specifications is the security portion to put the passenger’s minds at ease that if there was any unexpected event we would be prepared. All NEMO Galapagos cruises are up to code with safety regulations and our crew is well trained for any sort of event that may occur, which is displayed in this portion of the NEMO II Galapagos islands cruise specifications. Afterwards, the NEMO II Galapagos islands cruse specification gives a brief description of the accommodations but each of the NEMO Galapagos cruises goes into much more detail in the Accommodations section. 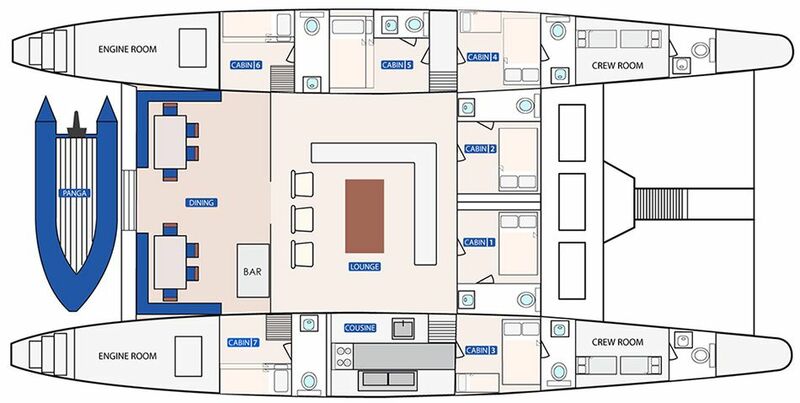 The final tab of the NEMO II Galapagos cruise specifications is the deck plan where you can have the technical viewpoint of what your vessel looks like. We provide this for every NEMO Galapagos islands cruises so passengers can visualize and see where the emergency exits are located if the need were to arise. If there are any additional items that we have not highlighted in the NEMO II Galapagos islands cruise specifications sections please do not hesitate to ask and we can assure that the NEMO II Galapagos cruise is the right choice for you. Cabin 1 and cabin 2: Double bed (only for couples)..
Cabin 5: 1 Lower double bed and 1 upper single bed. Cabin 6-7: 1 Lower single bed and 1 upper single bed. 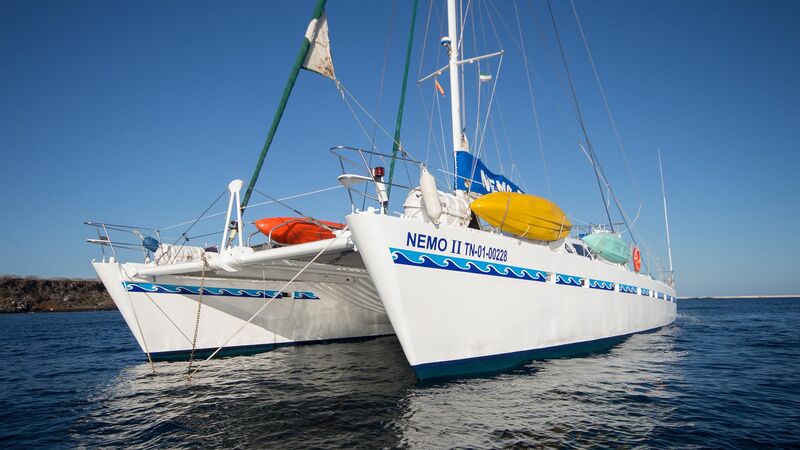 The NEMO II Galapagos cruise specifications gives a great overview on extra tidbits that you may be curious about when making your decision on what boat of the NEMO Galapagos islands cruises fits with your vacation expectations. Having these extra details of the NEMO II Galapagos islands cruise specifications adds that extra comfort and professionalism knowing that we are transparent on everything we provide. We are fully aware on how difficult it is to select the perfect vacation that is why if after reading through our NEMO Galapagos cruises and the NEMO II Galapagos cruise specifications and you still have some uncertainties, our customer service specialists are at your disposal and happy to answer any questions you may have. You can look at all the details of the NEMO II Galapagos cruise specifications to assure that our cruise has all the updated features. The same can be said on all of our NEMO Galapagos islands cruises. The NEMO II Galapagos cruise is among the most popular cruises in the Galapagos and this NEMO II Galapagos islands specifications section provides more awareness on what sort of cruise we offer. This cruise is a part of the NEMO Galapagos islands cruises fleet that has been in operation for several decades. All NEMO Galapagos islands cruises are spectacular and each provides a special flare to every voyage. With the years of experience comes experts in the field, the NEMO II Galapagos cruise is a tremendous eight day cruise that embodies the essence of the islands.